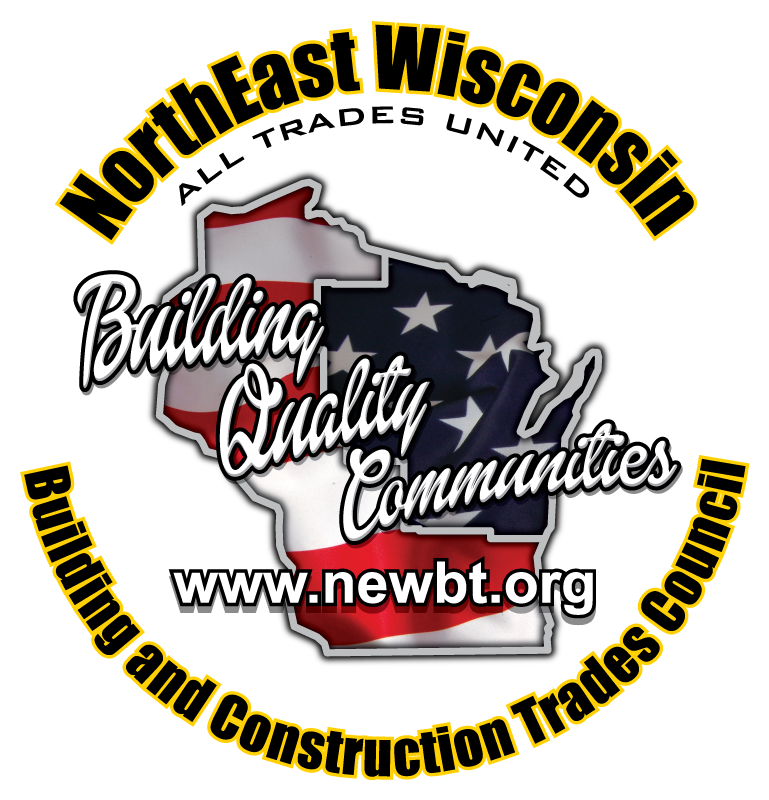 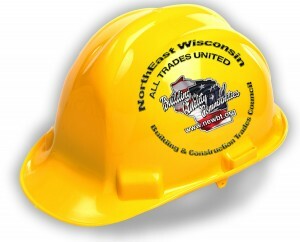 The NorthEast Wisconsin Building & Construction Trades Council shall be dedicated to the improvement of wages and fringe benefit packages which reduce employee turnover and sustains a quality family life; the advancement of apprenticeship and training and journeyworker upgrade programs which benefit not only our members but also our contractors and their customers; securing a safe and healthy work environment so all construction workers can return safely to their families; to provide quality and value in every construction project to our contractors and their customers; and to build quality communities through individual and Council involvement in area school and community functions and activities which further advance the positive character of the Council. 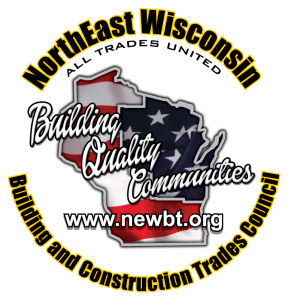 The NEWBCTC is made up of 39 member delegates who represent each labor union in the Council. 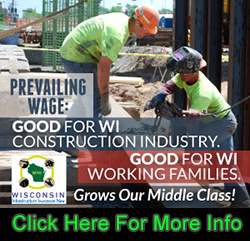 Union membership is made up of thousands of craftsworkers across northeast Wisconsin who are dedicated to providing the best quality in the construction industry. 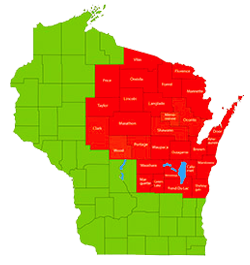 Brown, Calumet, NE Clark, Door, Florence, Fond du Lac, Forest, Green Lake, Kewaunee, Langlade, Lincoln, Manitowoc, Marathon, Marinette, Marquette, Menominee, Oconto, Oneida, Outagamie, Portage, Price, Shawano, Sheboygan, NE Taylor, Vilas, Waupaca, Waushara, Winnebago, Wood Counties.